I’ve decided writing’s my hobby. I always thought I didn’t have hobbies – I enjoy doing a broad range of things professionally, and even though some of them haven’t worked out, I was still hoping to earn some sort of a living from them and I always thought of them as “work”. But writing books is different. Through writing them I discover things about myself and about what I like to share with others. I take pleasure in just writing, without having to think about how my work is going to convert into cash. I can make terrible “business decisions” with my writing. Indeed, I have. Most advice to writers says that you should pick a niche, build your audience. My books are so diverse that I doubt anyone who picked up one of them then purchased another -the topics they cover are just too wide. And now I’m working on my first novel. After taking part in NaNoWriMo in 2014, I re-discovered the joy of making up stories. I said “re-discovered” because I used to write for myself quite often (well, for myself and for the handful of people who didn’t mind reading what I wrote). Once I started creating theatre, I only wrote scripts – I wrote not for myself but for an audience. And once self-publishing became an option, then I wrote books I thought I could sell. So I’ve decided to do this writing business well. I’m not someone who wants to take a course on writing – I’ve always learned by taking bits and piece from here and there and put them together in a way that makes sense to me. And that’s why I’m consuming podcasts about writing and the business of writing – for inspiration, for information and to allow me to dream. Because I’ll let you in on a secret (apart from the secret that I decided to ditch the rules that say you can’t start a sentence with “but”, “and” or “because”): I do dream of being a professional writer, and maybe one day I will give it a try, but not yet. Meanwhile, I’d like my books to reach as many people as possible, and if I can pay the bills from the sales, well, that would be great as well. 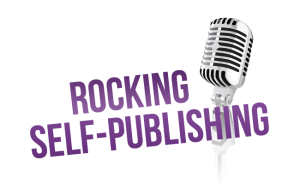 I’ve been listening to podcasts on self-publishing for quite a while, but now I’m adding more and more to my list. I’m also reading plenty of books on writing (I stopped reading books on self-publishing) and I will share those in a later post. For now, I just wanted to share these podcasts with you, in no particular order, in case you, like me, have had an on-off love affair with writing all your life. Joanna Penn coined the term Authorpreneur (well, if she didn’t come up with it, she certainly made it popular). She’s the first stop for anyone considering writing as a career. Her podcasts start with updates about what she’s been up to and news from the world of self-publishing. 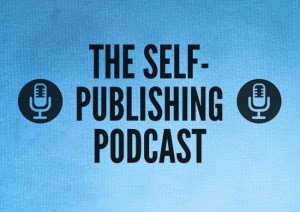 The main body of the podcast consists with an interview with an author. “3 Guys Telling You What Does and Doesn’t Work For Them in Indie Publishing.” That’s how Sean, Dave and Johnny describe their podcast and yes, I would agree, that’s what the podcast is. I’ve been listening to this podcast for a very long time and have really enjoyed how the guys have “settled down” in the world of self-publishing and as podcast hosts. The podcast is a lot of fun and if you prefer to get your knowledge in book format, then I recommend their book, Write. Publish. Repeat. (The No-Luck-Required Guide to Self-Publishing Success) (The Smarter Artist Book 1) . Similar in structure to The Creative Penn, Simon Whistler interviews a different author every week, covering a wide range of topics – from the craft of writing, through marketing, to being in it for the long-term. 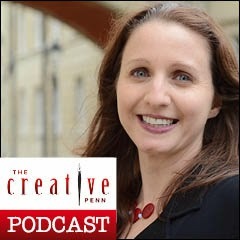 I’ve only just discovered this podcast (I think as a result of one of the hosts appearing on The Creative Penn) and have only listened to a couple of episodes. It’s a very different show to the other three, in that, as the title suggests, it’s a show about editing your book so it focuses on the craft of writing, rather than the business of writing. I’m trying to save the podcasts for later on in the year when I’m taking a “work holiday” to work on my novel. I still want to work with an editor on this project, but I also want to aim for a third or forth draft that I can be proud of before bringing someone else into the creative process. It looks like this podcast is going to come in handy. I’m consuming loads of podcasts at the moment, so do let me know if you have come across any others on writing or the business of writing I should add to my list.